What is the DC Universe Online (DCUO) game? DC Universe Online (DCUO) is a free-to-play action combat massive multiplayer online game set in the fictional universe of DC Comics. Developed by Daybreak Game Company and co-published by Daybreak Game Company and WB Games. DC Universe Online (DCUO) achieves your space dream. There are three ways to achieve your space dream in DCUO. You can pick up from three given classes in DC Universe Online: Tank, Control, or Healer. Each kind of classes has their unique ability in combat. Tank uses power of Fire, Ice, Earth, Rage, and Atomic to defense in combat, abort damage to protect allies. Controller can immobilize enemies to help tank to deal melee damage stable, resort to Mental, Gadgets, Light, Quantum, and Munitions abilities to make it. While Healer maker teammates survive longer by adding shields or heal them, Nature, Sorcery, Electricity, Celestial, and Water elements. Which type of devices can run DC Universe Online (DCUO)? All major platforms are including PC, PS4, and Xbox One. 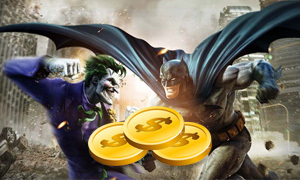 How to obtain the DC Universe Online (DCUO) Cash quickly? PvP mode is the most attractive part in the game, you can challenge many other gamers to earn lucrative loots and Cash. But it will take more time to get DCUO Cash, another way, you can Buy DC Universe Online Cash from our online store, we offer Cheap DCUO Cash with safe transaction, and fast delivery, within 30 minutes after payment.